Public wifi means that anyone can connect to it. Sometimes that “someone” is a hacker who wants to steal your data. Who here doesn’t like the satisfying feeling that one gets when there is a free public wifi connection available at a mall or a park? There is no doubt about the fact that all you really want to do at that point is to hit the connect button. Using free Wifi is indeed irresistible. And honestly speaking, what is not to love about free wifi connection right? It saves you a lot of mobile data expenditure and what not. Complimentary internet isn’t something that most people can ignore. Afterall, free internet is always better than what some call paid internet. With that said, readers must keep in mind that in the real world, public wifi networks aren’t that great. In other words, since they are available to all and sundry, they have inherent security problems. The internet is filled with hackers and other cyber criminals who want to make off with your private data and other sensitive information. You need to stop them. And keep on using free wifi internet right? Remember, hackers have malicious intentions at all times. So you can’t just protect yourself one time and think it’s okay for the rest of your life. You have to stay on your guard at all times. Hackers are known to be quite stubborn. They can manipulate your network in order to steal your data. For them to do that, they first have to log in to your network. And that is fairly easy when we are talking about public wifi connections and networks. We’re not really scaremongering here. 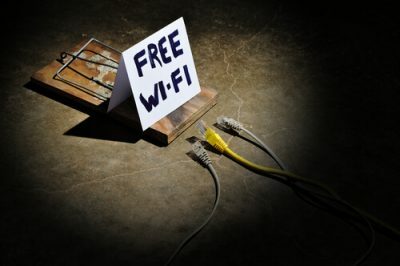 Because the fact that hackers can use these public wifi connections so easily means that the threat is real. Don’t think that hackers taking your information from a public wifi connection is a far-fetched idea. The point is, you have to keep yourself safe. Especially when you use a public wifi connection and network. Hence, our recommendation is that you should take your time and read the full version of this super guide below. How to Distinguish Between Unsecured and Secured Wifi Networks? This is where it all beings. Generally, though, you have two types of networks. That is, two types of what we call public wifi networks. There is one that is completely open. This wifi network usually allows users to log on without the need for any authentication details. All the user really has to do is to simply tap or click on the connect button and that is it. The user’s laptop or smartphone will automatically do everything else and connect the user to the network. This is the option that we recommend users should stay away from. And there are plenty of reasons to do so. If you must, then keep in mind that you should only log on to such open networks when you don’t have any other option. And by no other option, we do mean no other mean. Use it as a last resort. And even then, you have to make sure you don’t use an open network for a long period of time. Let’s come to the other type of Wifi Network. These are called public wifi networks that require the users to sign up. And in the process of doing so, users have to input their details such as a valid email address and a phone number. Moreover, such networks may also require the user to create a password and a username before this type of network or system grants the user complete access. WHere do you find such networks? You can find that these networks are usually the ones that big cellular companies offer. These usually have a large scale. You may also find one of these at the local coffee shop. It may have significantly less range than a normal wifi connection. Keep in mind that even though both types of wifi networks are different, both are really public wifi systems. Networks which require you to create a profile and authentication are way more safe and secure. Because these store each user’s personal details safely. Hackers, or would-be online hackers, don’t really want to give their personal information away. Hence, common sense dictates that hackers would tend to stay away from networks that require them to input such details. From our research, we know that hackers usually leave such types of safe networks alone for the sake of their own safety. So what to do if you find yourself in a cafe or a coffee shop? Just get up and ask the barista in the shop the wifi network that you should connect to. Most of the times you will find that these baristas know the official networks. These are the networks that the shop or the mall itself puts up. Moreover, they can also guide you on how to connect to them safely. Public Wifi networks are inherently unsafe. But there are things you can do to make them safe. 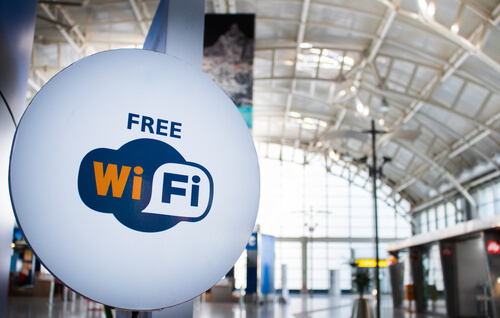 We strongly recommend that if you must use a public wifi network then you should stay away from engaging in activities such as online shopping and internet banking. Basically, any activity that might compromise your financial data. But there are always those compelling needs of yours where you need to take advantage of a certain flash sale. Maybe you want to transfer funds quickly. In that case, the most prudent approach, in our opinion, is to simply disconnect from the wifi network and turn on your mobile data. But only for that specific transaction. You will have to spend a couple of minutes extra. But it will keep your data safe. Never fill out a web form that requires you to input bank account details. The same goes for circumstances where you have to input credit card information along with your social security number. Of course, all of these warnings don’t make sense if you aren’t connected to a public wifi network. Especially when you are not using it for any purpose. 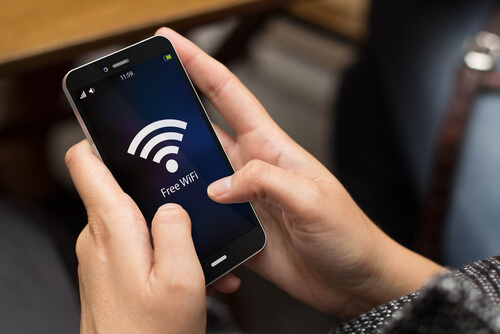 A lot of people have this tendency to connect to the internet just because they are in the range of a given public wifi network. In other words, we recommend that you should simply keep your wifi to OFF, when you don’t need the internet. When you do, then turn it on. It will only eat up a couple of seconds of your time. But more importantly keeping the WIFI off will add a good extra layer of security on your device. Remember, enabling options such as WiFi allow other people on the network to become wary of your presence. Because a hacker might also have connected to the same network. And hackers love to snoop around. When the need arises, just reconnect to the given internet. And after that switch the WiFi off. And then on again when you need it again. Modern networks allow users to share files. They also allow users to share printers and other stuff. They do it via remote logins from other given computers that have to log in to the same given network. Such settings are fairly okay for the networks that the user has no problem trusting. Of course, we are talking about networks such as those present in your home or in your office. But you should avoid sharing settings when you have connected to a public wifi network. If you are a Windows PC user and want to change these settings then follow the procedure below. First, go to Control Panel. Then make your way to Network and Internet. After that, click Network and Sharing Center. Once you have entered the new windows, click on the option that says Choose Change. After that, hit Advanced Sharing Settings. This is where you should see the options that allow you to turn off all network discovery along with any printer and file sharing. If you are on the Mac OS platform, you can simply make your way to System Preferences. Then you can go to Sharing. And there uncheck all the available options via the checkboxes. A VPN is short for Virtual Private Network. VPN services are really useful if you want to encrypt all of your internet traffic. A VPN service encrypts every piece of data that comes and goes from the user’s device. Hence, VPN services make it impossible for a hacker to monitor a user. Or spy on a user. Or even get hold of the user’s sensitive information regarding the user’s activity. Moreover, a VPN service improves the security of all open Wifi connections. But a VPN service does more than just secure your data and online presence. Signing up for a VPN service is the best thing you can do if you want to access restricted content. But how does a VPN service manage to do all of that? As mentioned before, VPN services make use of VPN tunnels. They send the user’s traffic via these VPN tunnels. After that, VPN services re-route the user’s traffic through their own VPN servers. Because of such setups, VPN services can change the apparent location of any user. Hence, if you want to spoof your location, then there is no other option better than a VPN service. There are plenty of VPN service providers in the market. The best, according to our research is IPVanish. To sign up for IPvanish from the official website, right now, click here. How does your web browser work? Basically, it sends data to the specific website that you want to visit or are currently visiting. It does that by making use of an encrypted protocol. Nowadays, we know that protocol as HTTPS. Or Hyper Text Transfer Protocol. All popular and well-reputed websites use the HTTPS protocol. When you access sites via the HTTPS protocol it protects you and your data from hackers who want to expose it to the word. How do identify an HTTPS website? Well, all you really have to do is look for a green padlock symbol on your web browser’s URL bar. This is usually where the web browser shows you the address of the website you are currently visiting. Remember, there are plenty of websites on the internet that do not offer this option. Hence you should never assume that your connection to any website is encrypted at all times and by default. 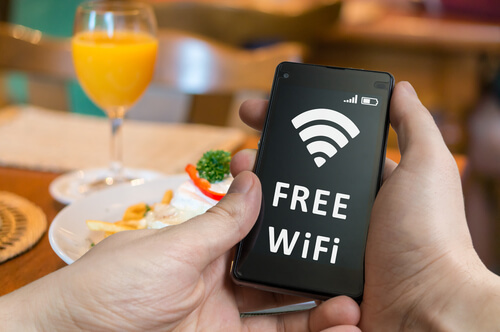 The other good practice that you should adopt as soon as possible is to never surf via the mobile web when you are connected to a public wifi network. That means, don’t surf for the sake of surfing on your smartphone. Because mobile apps aren’t as secure as desktop apps. Mobile apps usually show more generosity when it comes to NOT following encryption protocols. Popular web browsers like Firefox and Chrome do their best to ensure that users know what kind of a site they are visiting, but users themselves have to take some responsibility as well. That is also the reason why we recommend that all users should install a web browser plugin by the name of HTTPS Everywhere. This web browser plugin doesn’t have the authority to suddenly transform insecure websites to have an impregnable status. But it does a good job of activating certain security features which developers of the site might have coded into the website’s source code. Sometimes these features slowly go into a dormant stage. HTTPS Everywhere can revive these security features. There are plenty of ways to recognize secure websites. And you can find a lot of guides on the internet which tell you how to do so. But generally, if you are unsure about a site’s credential, don’t take the chance. Research the site via Google by searching for your site’s address followed by “is it legit” and you should come across my resources talking about your specific site. Coffee shops are great. But not when it comes to public wifi networks. You might say that the Mac operating system and Windows operating system already have firewalls. So why are we talking about it then? The thing is, most operating systems come with basic firewalls. In other words, they don’t have the advanced security features that will protect you from viruses. Paid antivirus software solutions usually have those security features. But that doesn’t mean that your default firewall is totally useless. We would classify these firewalls as handy. They can keep you safe from certain kind of online attacks. But what is a firewall? A firewall if any user’s first line of defense when it comes to fighting against hackers and other cyber criminals. Firewalls act as a strong barrier between untrusted networks and trusted networks. Firewalls usually monitor all incoming and outgoing traffic. And based on specific and predetermined security parameters, firewalls can either reject or accept incoming and outgoing traffic. If you want to enable the firewall feature on your Windows operating system then follow the procedure below. First, go to security settings. To do that you will need to go to Control Panel. And then to System and Security. After that hit Windows Firewall. If you are on the Mac OS system then you will have to make your way to System Preferences first. Then to Security & Privacy. After that just hit Firewall. The days of static programs are well and truly over. Developers know that if they want to survive in the market today they will have to constantly churn out update after update. They have to tune their code. More importantly, they must make sure that they regularly patch up any security vulnerabilities. Because hackers are smart people. They are usually looking for the best opportunities to strike. And those opportunities can come at any time. Hence software applications and their provides must prepare themselves for all eventualities. So what’s the rule of thumb here? Generally speaking, you have to make sure you have an updated antivirus software application. If you do, then it will automatically ping you when it is time for an update. Moreover, remember to not update your applications when you are connected to an unsecured public wifi network. Do it when you are at home or in the office. Because there you are sure to have a secure internet connection. We mean that you could take all the practical tips that we have mentioned above. But if you don’t exercise some good old common sense they won’t benefit you much. In other words, you are free to follow all the steps that we have outlined above. But there are many more steps that you can take in order to deter hackers away from your device. Of course, you first have to apply these steps rather than just read about them. The first and foremost step you should start taking right now is to deploy strong passwords. You must make sure that your password has an uppercase letter. Along with other strange symbols. A good combination of these will make sure that you have a strong password that hackers can’t crack that easily. Moreover, always try to enable the new two-factor authentication. This would protect you more thoroughly wherever you are. Remember, if you use a lot of banking applications along with email and social media then having two-factor authentication is a must. What if you don’t have enough options and don’t want to think hard about coming up with a hard password? Well, in that case, use one of the many good password generator programs. 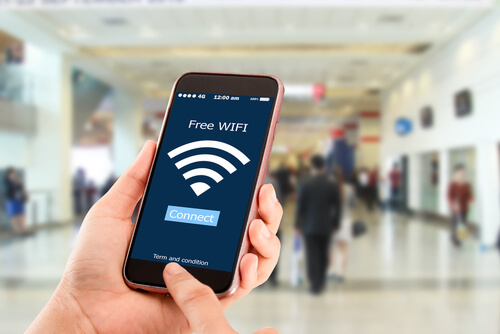 Moreover, when you connect to a public wifi network, make sure to log out of all your services and websites before you leave the network. The other thing you can do is to configure your device so that it forgets the network after you have disconnected from the network. Well, this basically prevents the device from connecting to that particular public wifi network automatically the next time you come near that network. How Can Hackers Hack You Using Public Wifi? We have told you the ways in which you can protect yourself against hackers. But do you even know how can hackers hack you? In this next section, we will take a look at some of the most popular methods that hackers of today deploy in order to steal user data. A lot of hackers love to use this technique. In this technique, hackers can intercept communications between the server and the client. Usually, they need two entities. One of those is the user or the user’s device. And the other is the server the user has connected to or is trying to connect to. Snooping hackers can interrupt the flow of data between the two parties. Then they can eavesdrop on the user’s personal information. They can also steal sensitive information such as the user’s bank account information. And of course, credit card details. The most susceptible places for the man in the middle attacks are, you guessed it, public wifi networks. 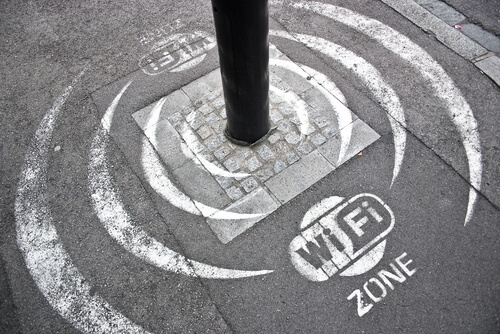 How can hackers use public wifi networks to hack you? Well, first they set up these free rogue wifi networks. These networks, from the outside, look very innocuous. And have nice sounding names like FreeOfficialPublicWifi. Such names are enough for users to connect to these infected networks. Hackers use a lot of other methods to lure users into connecting to their rogue networks as well. Once the user has connected to the rogue network, a hacker can gain direct access to the user’s web browsing session. And of course, all the data that comes with the session. Moreover, hackers can also view the user’s stored cookies. These are basically bite-sized data packets that can store information regarding login details and other credentials and preferences. Recently a seven-year-old hacker (an ethical hacker so to say) showcased the true effectiveness of attacks that we know as the man in the middle attacks. Betsy Davis successfully infiltrated a test public wifi network. And how long did it take him to do that? The boy carried out the experiment but only as a part of a demo. He wanted to highlight the legitimate dangers of making use of public wifi networks. The boy carried out the experiment in the UK. Most of us already know that the number of public access points in the UK exceeds 270,000. Authorities also carried out a survey as another part of the demo. This survey revealed that, in Britain, about 59 percent of online users connected to public hotspots on a regular basis. Moreover, the survey also showed that over 19 percent used these public wifi networks for tasks such as personal banking. As mentioned before, you should not use public wifi networks for sensitive transactions. So are there any other ways to identify rogue wifi networks? As mentioned before, the best way to know if your connection is actually to a rogue network is to see if it has checks and procedures for login and authentication. That is the only legitimate way of knowing if your network is safe. Usually, networks which have trustworthy connection ask users for some of their personal details. These safe networks also ask the users to agree to their terms of service. Only then do these networks grant you access to the internet. If a given network allows the user to connect instantly to the internet without any login information or input any form of data, then you should consider this as a definite red flag. And hence you should avoid such networks. There is no such thing as free lunch in the online world. And they use packet sniffers to get the job done. But what are packet sniffers? These are just robust software application. System administrators use them to monitor their network traffic. With packet sniffers, any administrator can ensure a smooth flow of data/traffic. The administrator may try out methods such as removing any and all bottlenecks that may be present on the network. As you would have probably guessed by now, this comes with a downside. Any intruder that wants to cause harm can infiltrate this packet sniffing software. Then that intruder can use it to analyze any and all traffic that may go through the network. More importantly, hackers don’t even have to reveal themselves to steal data. They can just remain invisible throughout the duration of stealing the data. That is the reason why security experts consider packet sniffing as one of the most dangerous cyber attacks. Hackers generally take advantage of three methods in order to carry out packet sniffing attacks. Security experts refer to the first of these with the name of wireless sniffing. This is where a hacker first gains control of a given system. A hacker can usually achieve that by forcing a way right through the given wifi network. Moreover, we also have to give some credit to companies who make the hacker’s job easier. By unwittingly forgetting to modify the default settings on all their routers. In other words, always change your default admin settings. The other way is bad employee. An employee who might work in a firm may have bad intentions. And if this employee has access to the company’s internal LAN and then that employee can cause a lot of damage. By abusing the privileges the company gave to the employee. The employee can also use that to capture traffic. The last method is where a hacker makes use of various spoofing techniques from outside the actual network. Hackers can use these techniques to break directly through the target machine’s firewall. Hence they can then proceed to steal information that is present on the network. What do DNS servers do? They basically help everybody manage the actual flow of all internet traffic. That is internet traffic that goes from and to the user’s device. When a user wants to go a site like Facebook.com via his/her web browser, the web browser first makes a contact with its DNS server. After that, the particular server responds with the exact IP address of the site that the user’s device is trying to connect to. Think of it as an interface that helps convert computer-readable domain names to human-readable domain names and vice versa. If a hacker somehow gains access to DNS servers, the hacker can cause a lot of problems. In other words, the hacker can change some/all of the information that a DNS server may send to the user’s web browser. Then the hacker could instruct the user’s web browser to redirect a popular and common domain name requests to a malicious site that the hacker controls and owns. Such sites include the most reputed ones such as Google.com and gmail.com. If that happens to you then know that a hacker has made you a victim of a phishing attack. These type of hacking attempts are nasty. Because they have a lot of potential to cause devastation on all public wifi networks. The only thing that a hacker needs to ensure is that he/she can infiltrate a given computer in a given network. After that, the hacker can easily disrupt each and every computer or devices that are connected to the same network at any given time. With that, we come to the last way that hackers try and harm you. Hackers use phishing scams when they want to steal sensitive and personal information on a given user. As with all the rest of the methods, the type of information they want is the same. This is how they are able to steal money from all types of online users. Most of the time hacker disguise phishing links within emails that sound very official. But they can use other types of communication models as well. Hackers can also use fake sites. These fake sites look “original” enough to convince users in giving up their details to hackers. Back in the year 2015, Casey Talbot, an Australian comedian, had to lose over $10000 from his personal bank account when hackers robbed him. Well, he connected to an insecure public wifi network when visiting the Sydney airport. In order to hack Mr.Talbot, hackers first succeeded in infiltrating the public wifi network in the area. Then they moved forward and targeted Mr.Talbot’s device. Via a malicious email message. Mr.Talbot didn’t know what hit him and he fell into the trap. As a result, he had to hand over his personal information. Hackers cleaned out the money from his account within seconds. So what’s the general rule of thumb again? Never engage in any type of financial transaction or activity over public wifi networks no matter what the place you’re at.